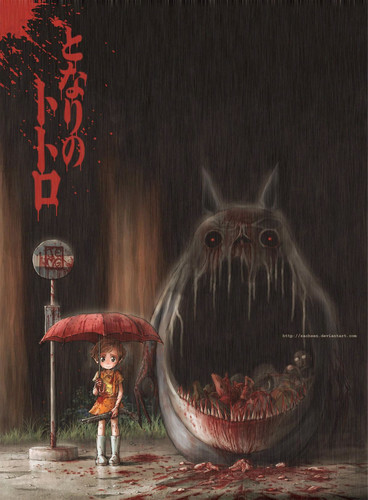 Horror version of My Neighbor Totoro. a horror version of the classic poster. HD Wallpaper and background images in the Studio Ghibli club tagged: my neighbor totoro studio ghibli. This Studio Ghibli fan art contains fontein. There might also be teken, poster, tekst, bord, and schoolbord.